While designing or re-designing a theme of your website or blog, the most difficult part is to find the perfect color combination; here is a free online tool to help you. As we say many times, it does not look good if you use orange texts on fluorescent green background. This is because of the concept of color combination. 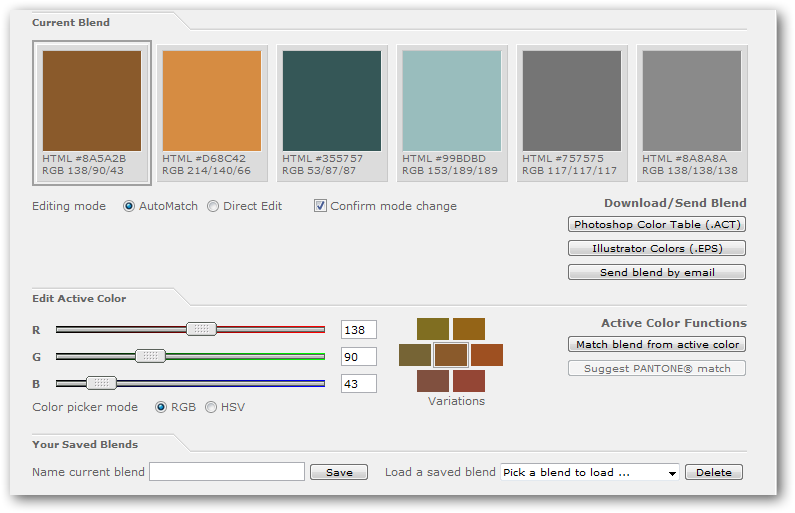 Matching colors is very difficult; thankfully there are automated online tools to suggest perfect color combinations. Some of them are paid, some are free. We use ColorBlender which might work good for you as well. You will the Hexadecimal value as well as RGB value of each color above. This Article Has Been Shared 8885 Times! Tools for checking HTTP requests and responses from a server are required for your web server’s response to a particular request. Here is a comprehensive list of of free online tools for server response checking. Cite this article as: Abhishek Ghosh, "Finding the perfect color combination for your website with free tools," in The Customize Windows, May 12, 2011, April 20, 2019, https://thecustomizewindows.com/2011/05/finding-the-perfect-color-combination-for-your-website-with-free-tools/.